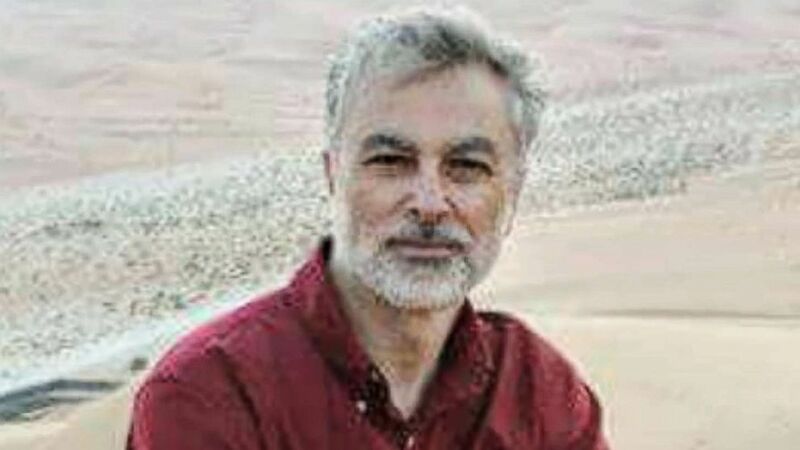 For almost two years, the family of an American man detained in Syria says it has operated quietly, working with the U.S. government and its allies to try to gain information about their husband and father. But now, in the hopes that President Donald Trump may be moved to personally intervene, they are going public. “I think we’ve reached the point where we absolutely are very desperate,” Ula Kamalmaz, 35, daughter of Majd Kamalmaz, 61, told ABC News. Majd Kamalmaz is pictured in this undated photo released by his family. They said they haven’t heard from their father since Valentine’s Day 2017, when he arrived in Damascus, Syria, as planned, to visit ailing members of his extended family. Majd was born in Syria but moved to the United States when he was 6 years old. Majd called his wife to tell her he had arrived safely in Damascus, at the home of one set of family members, and that he would call her again the next day when he went to visit other relatives, Maryam Kamalmaz, 33, said. 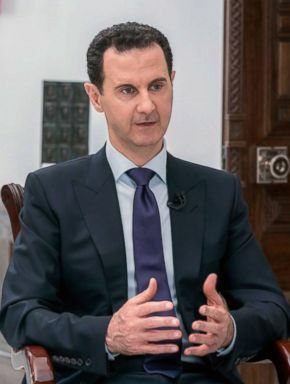 Syrian President Bashar al-Assad is pictured during an interview with a journalist from Russia Today in the Damascus, in a handout picture released by the official Telegram page of the Syrian Presidency on May 31, 2018. But that call never came. Later that day, one of Majd’s Syrian relatives called Maryam’s mother, Hasna, who was staying with Maryam, to tell her that Majd had never arrived at their home as planned. “I found her crying hysterically,” Maryam said of Hasna. The family was ultimately able to learn that Majd had been detained by the Syrian government, a revelation obtained largely with the help of the Czech government, which acts as the protecting power for U.S. interests in Syria. Spokespeople for the Czech embassy in Washington did not respond to requests for comment. The official said it could provide no further information due to privacy considerations. I think we’ve reached the point where we absolutely are very desperate. The family said they had no idea –- nor have they been able to find out –- why he had been detained, given that Majd had done what he could to ensure he was not on any Assad regime watch lists before he traveled, and because he was in no way publicly outspoken or involved in the political situation in Syria. The last time he traveled to Syria, family members said, was in 2011 — just before a civil war broke out, pitting the Assad regime and its allies, including Iran, against many of the country’s civilians. Majd, who worked on international aid missions, was not politically-outspoken, they said. 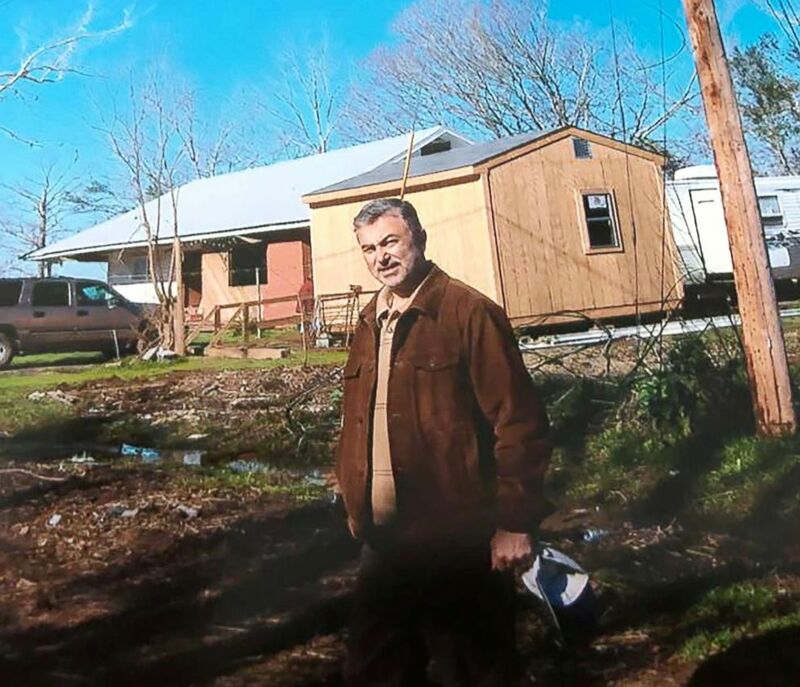 His expertise in psychology and stress management led him to war zones and natural disaster sites around the world, including Lebanon, Indonesia and even New Orleans after Hurricane Katrina, where he would help victims suffering from PTSD and other post-traumatic symptoms. A 2016 blog post from the HeartMath Institute, a nonprofit organization that provides mental health aid around the world, detailed Majd’s work in Lebanon, where he administered post-trauma care to Syrian refugees. “He’s a very humble, loving, caring soul that allows his heart to lead him and that’s why he’s in the field of treating people who have been affected by PTSD and traumatic events in their lives,” his daughter Ula said, referring to post-traumatic stress disorder. When the Czech embassy first relayed questions about Majd to the Syrian government, officials there initially confirmed they had detained him, Majd’s children said. Members of the Kamalmaz family met with the Czech ambassador to Syria, Eva Filipi, in Washington in May 2017, where she relayed her confidence that the situation could be resolved. “She hugged our grandmother at the end of the meeting and told her not to worry, she’ll get him back home,” Maryam said. But via subsequent updates from the Czechs, the family learned that the regime backtracked, denying they had any information from the start. We’ve seen how successful [Trump]’s been at releasing other detained citizens abroad. We feel we’ve exhausted most routes, if not all routes and we are now praying and hoping that President Trump will help in this situation to bring him back. The Kamalmaz family reiterated its gratitude to the U.S. and Czech governments for the work they’ve done on their father’s behalf, but said it was time for them to change strategy and seek to make a direct appeal to the president. They said they are worried about his health, as he has diabetes and suffered a stroke shortly before visiting Syria. The president has highlighted the release of other Americans previously detained overseas, including North Carolina pastor Andrew Brunson, held in Turkey, and three Americans who were held in North Korea.